The expected in-stock date is Wednesday, May 15. Hearty bites of big flavor is what makes this meat and cheese gift extra delicious. 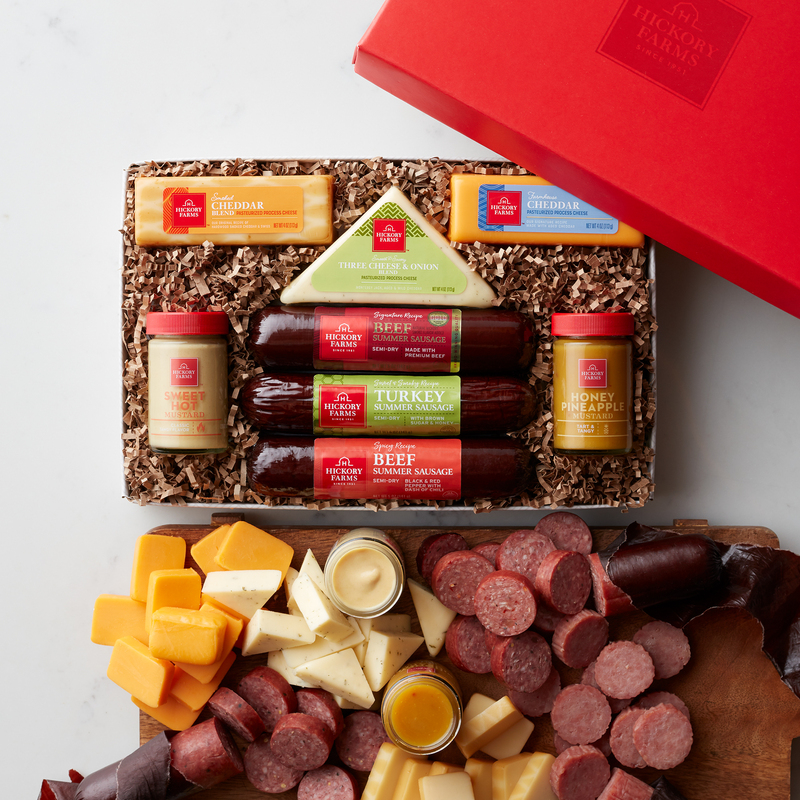 Send this selection of our three classic summer sausages: Signature Beef, Spicy Beef, and Sweet & Smoky Turkey for a variety of flavors. 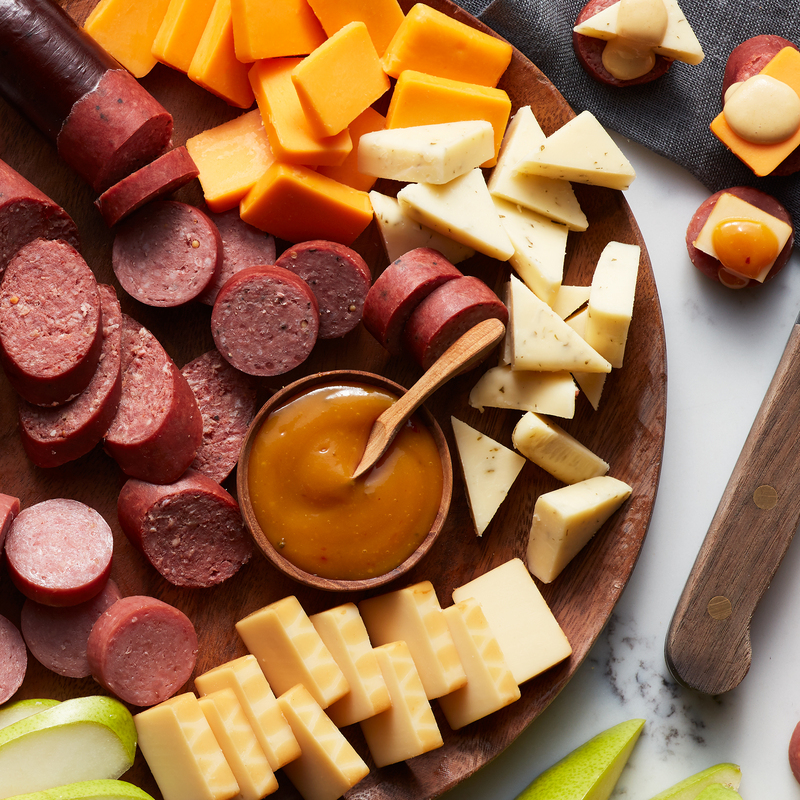 Paired with our creamy Farmhouse Cheddar, Smoked Cheddar Blend, and Three Cheese & Onion Blend cheeses and topped with either Honey Pineapple or Sweet Hot Mustard, they can create endless combinations. 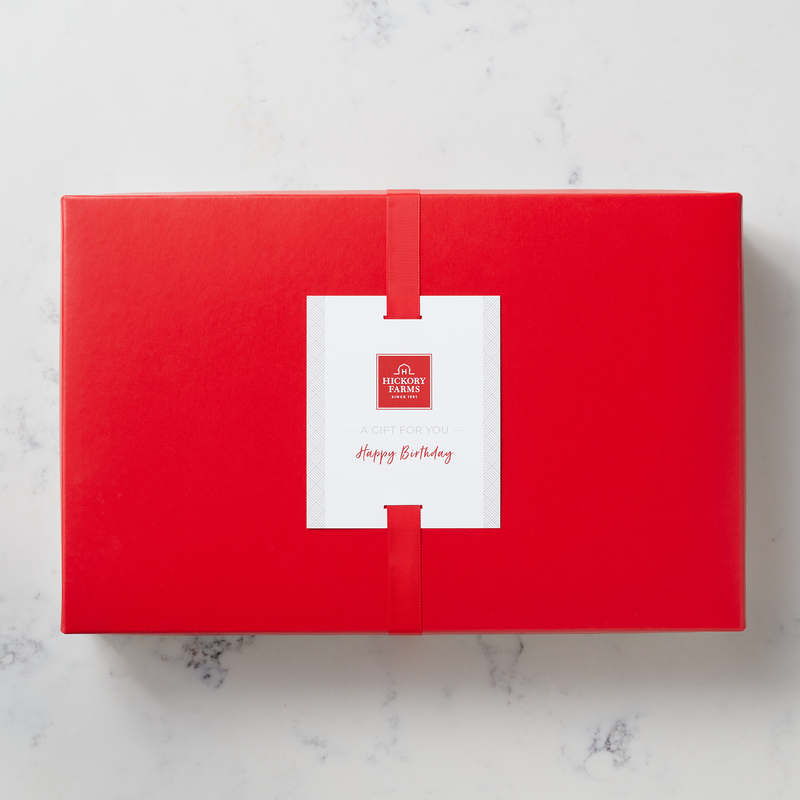 This is the perfect cheese and sausage gift box for anyone who loves a hearty snack!